A while ago I mentioned in my post "What's in my makeup bag?" 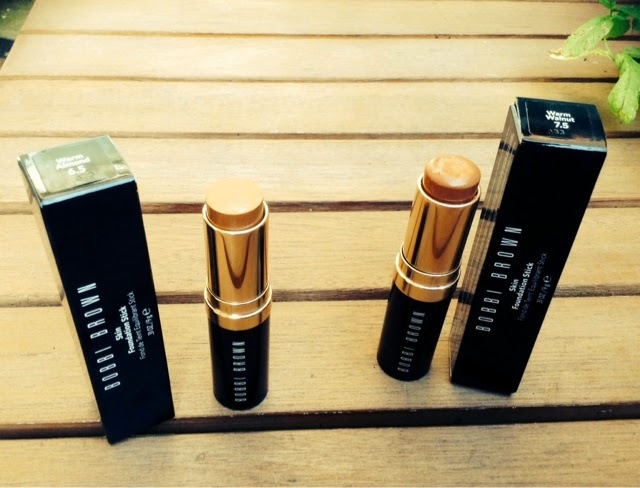 that I had picked up the Bobbi Brown Foundation stick whilst at Stansted Airport after seeing a tweet by Naomi Campbell swearing by it as her beauty must have. I told you all how happy I was to have bagged one, only then to find out later whilst on my holiday that the consultant had put the wrong colour/shade in my bag! I tried to give it a go as with my tan the colour seemed (I thought...) to match well, however once I got back from my hols, our little holiday romance was over...the shade of Warm Walnut 7.5 was just too 'orangey' (below), I can't put my finger on it but something just wasn't quite right with the colour. (I normally wear Warm Almond 6.5). 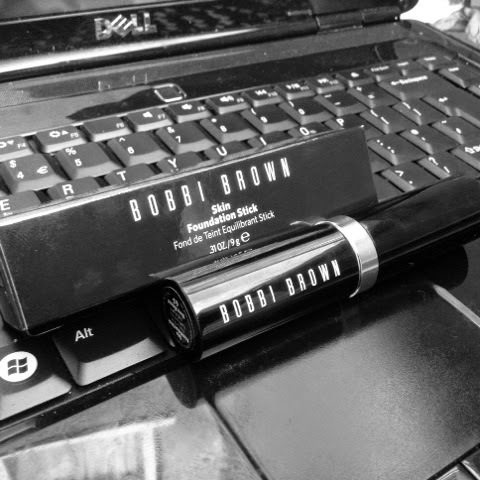 I wondered what I would do with it as I really didn't want to waste nearly £30 on a product that I had only used a few times, so I went into my nearest Bobbi Brown concession in House of Fraser and asked for some advice. They sympathised and agreed that it was the incorrect shade, but advised that as they were only a concession I would have to take it into one of their main stores or email customer services and explain my predicament. I decided to email as the main stores are very far out from me. I knew my profile was stored on their databases as I'm a regular customer, so was hoping they would check and see my previous history over a number of years of wearing the 6.5 shade and recognise that I was genuine. I still wasn't holding out much hope for a reply though as I no longer had my receipt from the World Duty Free Store (which is unusual for me as my purse is nearly almost full of receipts, but as I was in holiday-care free mode, I must have threw it away!) and also the product had been used. Absolutely delighted I was! What great customer service and with such little fuss too - no receipts requested, no product asked to be sent back. 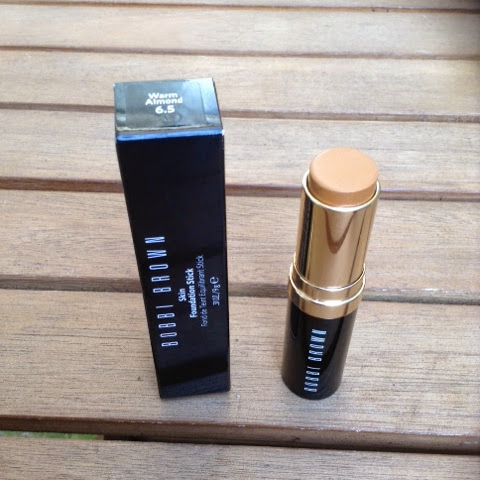 Three days later, by courier post I received my little package containing the Bobbi Brown Foundation Stick in what I originally had requested at Stansted, my old faithful, Warm Almond 6.5. Brilliant, very impressed! 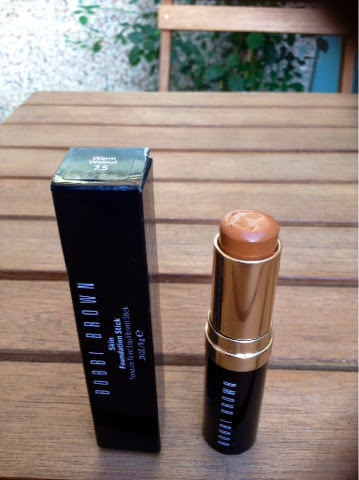 Well done Bobbi Brown, you have retained a loyal customer and not only that but have given me a chance to enjoy and try again the Foundation Stick which I would have been hesitant at buying another time knowing that I had one sitting at home in the wrong shade. I can't wait to use it tomorrow as I had been scraping the bottle of my Bobbi Brown Long Wearing Even Finish Foundation desperately trying to use the last few drops that were left! It makes me happy when big brands care for their customers, so I thought I would share with you all this happy ending! By the way, It has been a SCORCHER this week in the UK....32C!!! - Lovely!